Getting ready for an adventure means starting out with the right equipment. You can't drop into the desert wearing a suit (talk about heat stroke). You can't explore the arctic in tennis shoes (this is clearly a boot mission). And you can't just jump into the jungle wearing a baseball cap (well, you can, but you'll just look like a tourist). If you're off to the safari or the tropics, you'll want light-colored head wear that will protect from the sun and bugs. 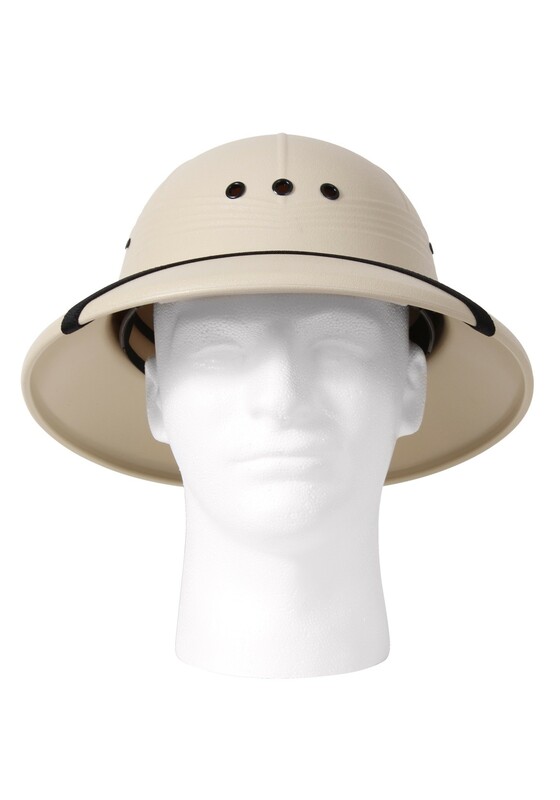 Our Adult Deluxe Khaki Pith Hat ought to do the trick. It's molded plastic with an adjustment band inside. There's even a chin strap and ventilation holes. With this hat you'll be ready to explore the Amazon basin. Ready to track down that rhino. Or perhaps you'll just be more prepared for safari-like outing in the back yard. Any way you slice it, this hat is a must!